Randy Richardson was born and raised in south Mississippi and still resides in the Gulf Coast area. He and his wife married in 2003 and started their family in 2009 with the birth of their only daughter. When he is not hard at work, he enjoys spending time on the water with his family as well as capturing the breathtaking views of the coast line via photography. After starting his Real Estate career in the spring of 2017 Randy was voted Sun Herald People’s Choice Favorite Realtor of 2017, while his brokerage PowerMark Properties was voted Sun Herald People’s Choice Favorite Real Estate Company in 2017 and 2018. 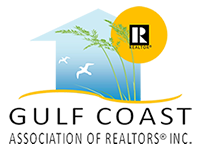 Randy has had great success in his first full year as a REALTOR in 2018, finishing in the Top 50 of over 1500 Realtors on the MS Gulf Coast with over 45 transactions closed. Also, in his first full year he received the Real Living 360 Diamond Service award, the Real Living Emerald Medallion award, along with two Real Living Rising Star awards. As a Top Producing Agent and Certified Life Style Advisor, Randy chooses to give back to his community through various charities, including being one of the top Real Men Wear Pink Ambassadors for the American Cancer Society on the Mississippi Gulf Coast, which raised over $82,000 as a group. Randy is very motivated to make each transaction run smoothly as he values the relationships he makes along the way. If you’re LOOKING TO SELL OR BUY? I KNOW A GUY! And that guy is Randy Richardson with PowerMark Properties.